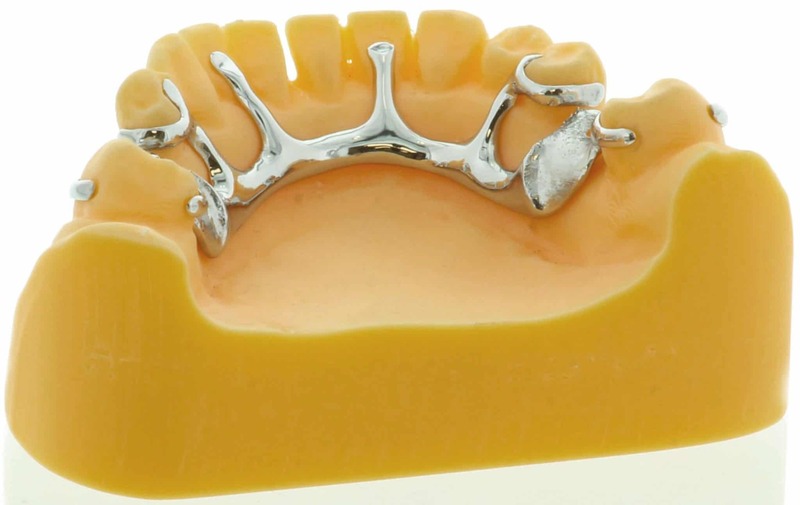 UK-based metal AM company Renishaw collaborated with a Yorkshire dental laboratory to fully digitize the design and production of removable partial dentures (RPDs). Through the collaboration and the implementation of Renishaw’s metal 3D printing platform, the dental lab is achieving faster turnaround times and better quality RPDs. 3D printing in the dental industry is already well established, though the main 3D printing technology you’ll likely come across in a dental lab is resin-based. Recently, Renishaw and Yorkshire’s Egan Dental Laboratory showcased the benefits of metal AM in the dental sphere by 3D printing RPDs, also known as chromes. The dental lab, a family-run enterprise founded in 2002, supplies dentists with chrome frameworks which are used for anything from one-tooth dentures to implant-supported prostheses. After seeing the impact 3D printing and digital workflows are having on crown and bridge dentistry, Egan Dental Laboratory was inspired to explore the technology for its chrome frameworks. Before 3D printing, the laboratory relied on traditional processes, such as lost wax casting, to produce its prostheses. This manual process was not only time-consuming (taking up to two hours for each cast framework) but also prone to mistakes. One of the main challenges with the manual technique was accounting for the shrinking of cobalt chrome as it cooled. Another key difficulty using the traditional process was in producing RPDs with thin cross sections. Thankfully, these challenges could be addressed with additive manufacturing. After working together for a year, Renishaw and Egan Dental Laboratory were able to develop a process suitable for producing every possible RPD. 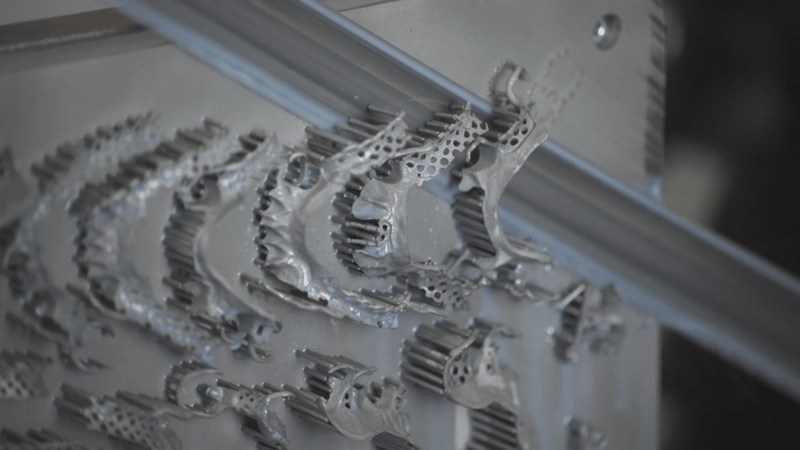 In developing the solution, Egan shared its designs with Renishaw, which experimented with 3D printing the dentures and adapting its metal 3D printing parameters for the project. The solution established by the two companies begins with a technician drawing on the master model by hand and then 3D scanning the model to be converted into a CAD file. From there, the design is simply sent to the 3D printer. The AM technology used for the job is one of Renishaw’s laser powder ben fusion (LPBF) 3D printers, which builds the dentures up by melting 40-micron layers of cobalt chrome powder. The process has resulted in dramatically faster production times as well as greater design flexibility. 3D printing has also enabled the production of RPDs that are lighter, stronger and more flexible than their traditional cast counterparts. These characteristics actually make the chromes more comfortable for patients. Further, the 3D printed RPDs have proven to be less prone to fracturing at the clasp, making maintenance easier for dentists.